This home is a must see!! Stunning 5 bedroom, 3 full bath plus a bonus on over 1/2 an acre! Home has been professionally cleaned and ready for it's new owners. 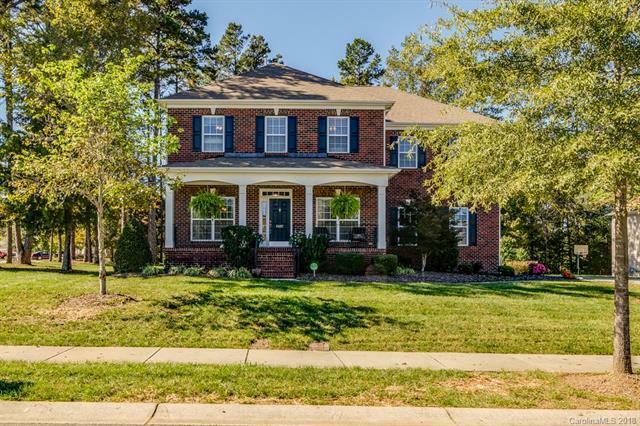 First floor has amazing maple hardwoods, formal dining area with wainscot, separate office, family room w/gas fireplace that opens to a large gourmet kitchen. 1st floor guest room is perfect for out of town visitors or parents/grandparents to visit or stay. Upstairs you have your own movie theater, what a great place to watch the game or stay in for a movie night. Large master bedroom with bamboo floors and sitting area with built-in cabinets and his & her closets. Huge master bath with soaking tub and his & her sinks. Secondary bedrooms are spacious as well with large closets & 5th bedroom has built-ins perfect for students or craft room. Enjoy the extended deck that leads to your outdoor fireplace, fire-pit & built-in grill. Community features sidewalks, park and pool and convenient location to shopping, I-85 & 73. Offered by Coldwell Banker Residential Brokerage. Copyright 2019 Carolina Multiple Listing Services. All rights reserved.